Over 40 US companies and associations sent on Wednesday a letter addressed to President Donald Trump urging him to maintain and expand travel to Cuba, reported Prensa Latina News Agency. 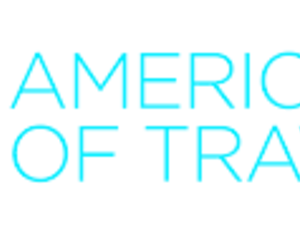 In a letter addressed to the US President entities like the American Society of Travel Agents and the US American Tour Operators Association warned that a setback in travel to Cuba would mean a significant loss of jobs in the US. The letter stressed that in recent years an enormous growth in the number of authorized travelers have visited Cuba through the services of these institutions. According to the letter, traveling under a general license has allowed US federal officials to dedicate more time in real threats to the national security and not to spend so much time and resources in investigating those that desire to exercise their constitutional right in traveling to a neighboring country. Agreements between US and Cuban aviation, points out the letter, has reduced the cost in flights for people from the US and has expanded the routes to the island. The letter also says that this has provided more jobs for US workers, payment of local and federal taxes and contract national companies for our services. According to the associations, a continued increase will allow more jobs for Americans and support the economy, but a setback of the current policy will incur in significant layoffs. “We urge for your administration to take note of the economic benefits and prioritize the increase and creation of jobs in your revision of the policy towards Cuba”, concludes the letter. James Williams, President of Engage Cuba expressed hope that the revision announced by Trump regarding the Caribbean island includes the opinion of an industry that supports 7.6 million jobs. He stressed that the desire of the sector, majority of the people of the US and Cuban people are taken into consideration over a few politicians in Washington. Meanwhile, Zane Kerby, of the American Society of Travel Agents, offered data of a recent study carried out by the company in which 3 out of 1 American support the lifting of the US travel restrictions to Cuba. “We urge the Trump administration to not only maintain the current regulations, but also lift the travel ban to Cuba”, said Kerby according to a note issued by Engage Cuba.